A baby carrier is a practical, safe, and and convenient way to keep baby close to you while you work around the house, go to the store, take your older kids for a walk, or travel, to name a few scenarios. It’s even just a great way to keep your baby calm so you can have your hands free to do other things. Whatever your reason for needing a baby carrier, it’s important to find one that feels supportive and secure, and we’ve got our top five picks to help you. In determining our rankings, we considered how versatile each carrier is in terms of carrying positions and the recommended weight range. We took into account the convenience of using the carriers, as well as features for the comfort of both parents and babies. And of course, we looked for specific features that make baby carriers safer, such as adequate head support for infants, and seats that promote the best sitting position for babies. Note: Baby carriers come in lots of shapes, sizes, and styles, but for this article, we are referring to soft-sided baby carriers as opposed to slings (which come with some safety concerns) or wraps (which are less intuitive to use). LILLEbaby is a relatively new baby carrier brand, but its products are of excellent quality and very versatile. The highlight of the Complete All Seasons baby carrier is its zippered flap that can zip up to provide additional warmth in cold weather or zip down to provide better airflow through the mesh fabric. Six carrying positions are possible with this carrier, and it has two seating positions—one with a narrow seat and one with a wide seat—to create a safer, more comfortable ride for a wide age range of children. The seat is already designed for infants, so you won’t need to purchase an additional infant insert—something that gives the LILLEbaby an edge over our other picks. The carrier is fairly comfortable for parents, with an extra lumbar pad for the lower back and shoulder straps that can cross to distribute the weight more evenly. There is a zippered pocket, a detachable hood for baby, and a substantial head support panel, though we found several complaints that when the head support panel is folded down, it is a little too low. The most consistent complaint we found about this carrier is that it’s bulky compared to other baby carriers on the market, and it can be cumbersome to fold up and adjust. However, this is a fairly small drawback compared to the versatility and comfort of the carrier that earned it the number-one spot on our list. The Ergobaby Four Position 360 baby carrier improves on the original Ergobaby design in a couple of ways. 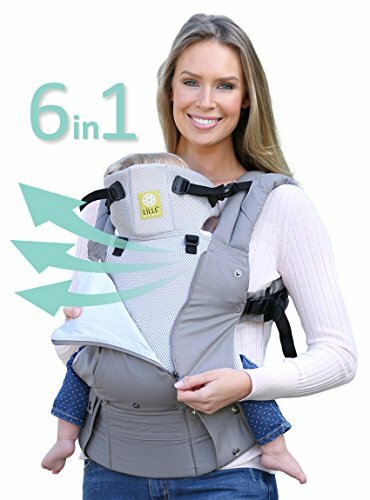 First, it has four carrying positions, one of which allows you to wear the carrier on the front with the baby facing out. The 360 has a bucket seat for the child so that even in this forward-facing position, your child’s legs will be in the safest position to prevent hip dysplasia. The Four Position 360 also has a wide, supportive waistband that adjusts with Velcro instead of a buckle. The majority of users seem to like this newer waistband style, as it fits a wider range of body sizes and can be taken on and off without assistance. However, the Velcro waistband does get a high number of complaints—users state that it’s not as convenient to adjust as the standard buckle because it has to be completely redone instead of just tightened, and it’s also quite loud when taken off. 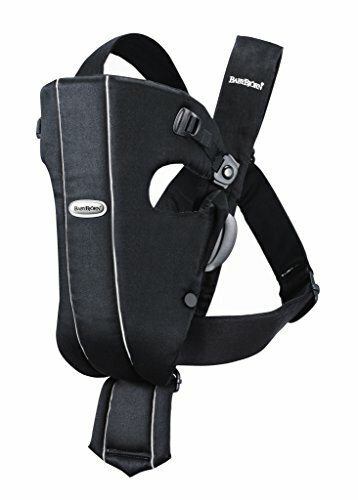 The Four Position 360 also has a back panel that can be extended for extra neck/head support (especially helpful for tall babies when they are too young to hold up their heads properly) and padded shoulder straps to make it more comfortable for parents. As with most baby carriers, it also has a hood for the child’s head, which makes a great sunshade, rain cover, or head support if baby falls asleep. The one feature the 360 is missing is a pocket or pouch for personal items, but this isn’t a dealbreaker. The carrier can be used with children between 12 and 33 pounds, so it won’t last quite as long as some of our other top picks. As with other Ergobaby carriers, this one requires an infant insert for babies smaller than 12 pounds—you’ll need to purchase the insert separately (around $24 on Amazon). These small drawbacks gave the LILLEbaby carrier a slight edge for the top spot on our list, but the Ergobaby Four Position 360 carrier is still an excellent choice for parents. The Tula Ergonomic Baby Carrier is lightweight and easy to use. It fits children from 15 to 45 pounds, though there is a toddler version for children 25 to 50 pounds. Tula offers an infant insert for babies under 15 pounds, but it must be purchased separately (around $40 on Amazon). Because the carrier material is lightweight and soft, it’s easier to store than bulky baby carriers like the LILLEbaby. The back of the Tula is a little higher and the seat is wider than many other carriers, which makes the seat more secure for children. Adding to the parents’ comfort are a comfortable waistband with extra padding, and thickly padded shoulder straps. One drawback to the simplicity of the Tula is that it can be worn in only two positions, so it is less versatile than our top picks. However, it is a favorite of many new parents because of the stylish color and pattern options. The Tula Ergonomic Baby Carrier is our number-three pick because it’s simple to use while still being comfortable for parents, and because it fits a wide weight range for children. The Boba 4G Carrier is easy to use with a couple of extra features that make it stand out. First, it comes with an infant insert (no additional purchase necessary, unlike the Ergobaby and Tula), so it can be used with children from 7 to 45 pounds and grow with your child for a long time. It also has removable foot straps that support your toddler’s legs for a more comfortable ride, as well as a detachable hood for protecting baby’s head from the sun or rain. The Boba 4G also has an extra strap to hold a purse or bag, and it comes with zippered pocket for personal items. The adjustable straps help the carrier comfortably fit on parents between five feet and over six feet tall, and the seat is nice and wide, making it comfortable and safe for your child as well. One complaint we found is that although the waistband on the Boba 4G is very soft, that means it is also less supportive than some sturdier carriers. It can also be difficult to adjust the top strap yourself when it’s across your back. The front is higher than some other carriers, but users reported that because it is so soft, it isn’t quite supportive enough for older children. 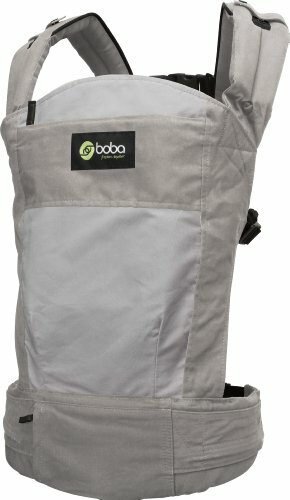 The Boba 4G has just two carrying positions, but it’s still a great option for a baby carrier that can grow with your newborn and be comfortable for parents of all sizes. BabyBjörn introduced its first baby carrier back in 1973 and has been making classic baby carriers ever since. The BabyBjörn Original is designed for newborns and infants from 8 to 25 pounds (with a minimum height of 21 inches), and as such, it doesn’t require an additional infant insert. It has just two front carrying positions—facing in and facing out—with great head support. Getting the carrier on and adjusted is very simple and intuitive, and the side snaps make it easy to get your baby out of the carrier, which is especially useful if your baby falls asleep. The design of the Original also makes it convenient to fold up and store. The downside to such a simple, streamlined carrier is that it lacks many features of the other picks on our list. The BabyBjörn Original doesn’t have a storage pocket or a hood to cover your baby’s head in the sun, and it is also missing a waist strap, making it less comfortable for parents to wear for long stretches of time. Additionally, because it is designed to be used with infants, it gets increasingly uncomfortable for children as they grow. The seat is only five inches wide, which is great for a newborn but not for a toddler. The BabyBjörn Original baby carrier is more basic than many of the other carriers on the market and the limited weight range dropped it to the bottom of our list. However, the BabyBjörn Original shines in terms of ease of use and is perfect for newborn babies. The plethora of options when it comes to baby carriers means that it’s important to find the right one for your body size and for your child. Take into account where, when, and for how long you are most likely to use the carrier to help you decide what is most important. Here are a few examples to consider. 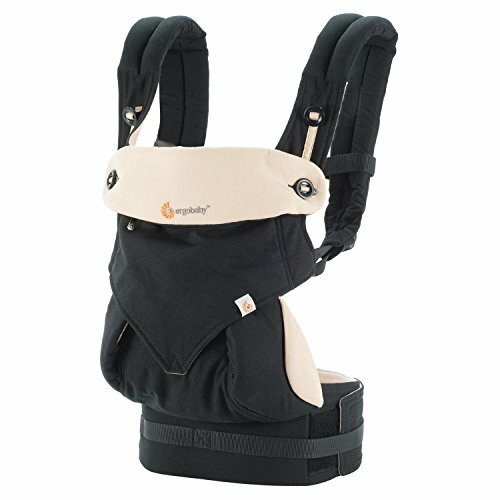 If you plan on going on long walks, you’ll want a carrier that is comfortable for you and your baby for long stretches. If you’ll use it most to go on quick trips, finding a carrier that’s easy to get on and off will be important. If you need a carrier to go on vacation but don’t think you’ll use it much outside of that, look for one that will fold up and store easily. If you want something that will last, find a carrier with a wide weight range and adjustments to fit both infants and toddlers. Another thing to make sure you understand is what constitutes a safe position for your baby to sit in. Infants and babies under six months old have underdeveloped ligaments and joints, so it’s safest for their hips for them to sit in a way that mimics the fetal position in the womb. Otherwise, the baby runs the risk of developing hip dysplasia. According to the International Hip Dysplasia Institute (IHDI), the best position for a baby is for their legs and hips to fall to the sides naturally with the thighs supported and the knees bent. This is called the frog position, M-position, or spread-squat position. If a child is carried on the front and facing in (toward the parent) or on the parent’s back, they are naturally positioned this way, but carriers with wider or deeper seats make the position more pronounced and beneficial. The position that brings up a safety issue is facing outward when you’re wearing baby on your front. For babies, having the legs extended with the hips and knees straight and legs close together is the unhealthiest position, so facing forward with the legs dangling unsupported, especially for frequent or extended periods of time, may increase the risk of hip dysplasia. IHDI reviews and acknowledges when baby products are hip-healthy (see the full list here), and of the top picks on our list, the LILLEbaby, Ergobaby, and BabyBjörn products have been given the thumbs up. Please note, however, that while the Tula and Boba carriers have not officially been deemed hip-healthy, they have only two carrying positions (facing in on the front or back) and those positions are naturally better, so all of our top picks are safe for babies. When it comes to baby products, the options can seem nearly endless, and baby carriers are no exception. 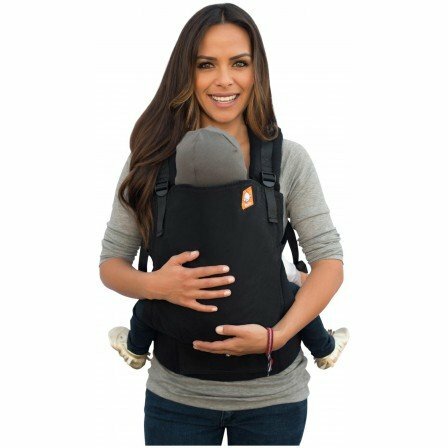 Keep in mind how you are most often going to be using the carrier and look for the carrier that is the most comfortable, convenient to use, versatile, and safe for your baby. Once you find the right one, you can carry on,enjoy having your child so close, and know that you made the best decision for your little one.